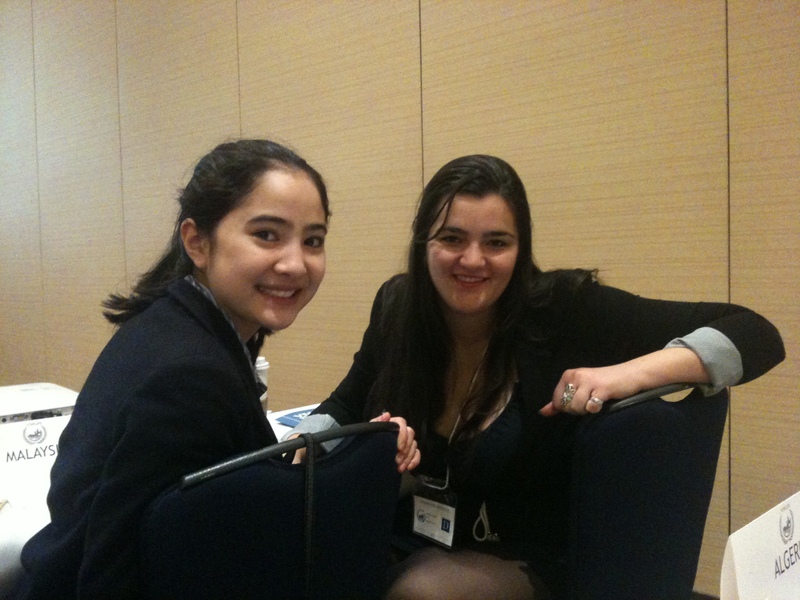 From January 20th to 22nd, the YHS Model UN class participated in the Vancouver Model United Nations (VMUN) 2012 conference held at the Hyatt Regency downtown. Each student represented a country on a United Nations committee to discuss global issues. These issues included topics such as: the development of antibiotic resistant bacteria, the problem of child soldiers in armed conflict, and responding to the Arab Spring, to name a few. All committee topics were debated upon by the delegates over the three days of the conference. 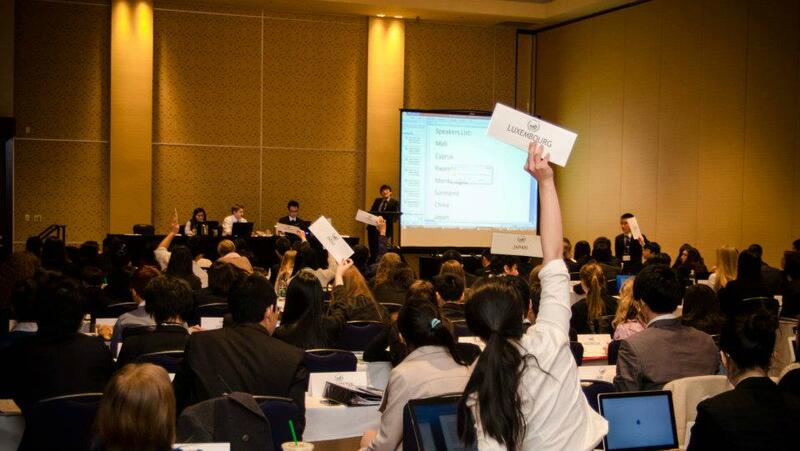 Not only were these issues debated upon during committee sessions, but resolutions proposed by countries were also presented in an attempt to help solve the important problems at hand. 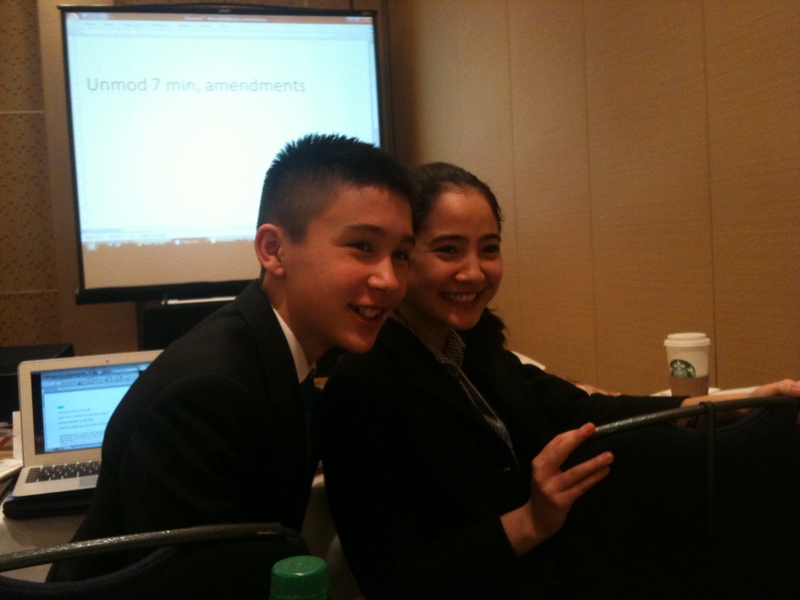 Despite some inexperience, every YHS student successfully represented their assigned delegations. This conference not only enlightened the Yorkies about world issues, but also provided them with an opportunity to practice and improve their public speaking abilities, utilize their problem-solving skills, and learn the importance of teamwork by working together with with fellow high school students from across North America to solve the issues. 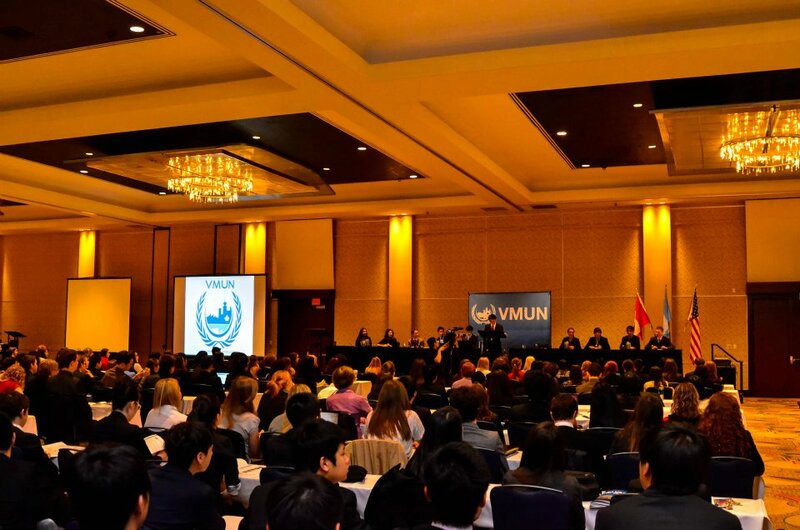 On the first day, the team gathered at the hotel and attended the opening address where everyone was welcomed and VMUN 2012 officially commenced. After the first committee session, delegates gathered to see the keynote speaker, Justin Trudeau, deliver a remarkable and truly inspiring speech. After three committee sessions and nine hours of debating global issues, even the most experienced of delegates were worn out. Yet, with strong passions to solve the problems at stake, the students pushed through their fatigue to attend Saturday’s early morning and afternoon committee sessions. After all of their hard work, the students were rewarded with a break from all of the seriousness of global issues. They let off some steam at the delegate social. This year’s social was especially unique as York House School’s very own Azzra M organized the entire event with her role as USG Sponsorship on the VMUN Secretariat. The dance was extremely successful and everyone seemed to have a blast! However, the fun had to come to an end as “midnight crisis” was to strike. This is where individual breaking news topics are released to the UN committees, and delegates must gather at midnight to debate the new issues. The YHS team did not disappoint. Every student showed up to their respective committees in full business attire and worked tirelessly to help resolve the pressing crises. On the final day of the conference, the delegates participated in two committee sessions to vote on resolutions and expire the topics, and attended the closing address, which officially concluded the conference. The Yorkies had only positive feedback to give when the conference came to a close and the YHS Model UN Heads, Julie, Azzra, and I could not have been more proud of every girl who participated. We owe a great deal of our success to Mr. Abt and Mme. Marti who generously gave up their weekends to help organize our team at the conference. 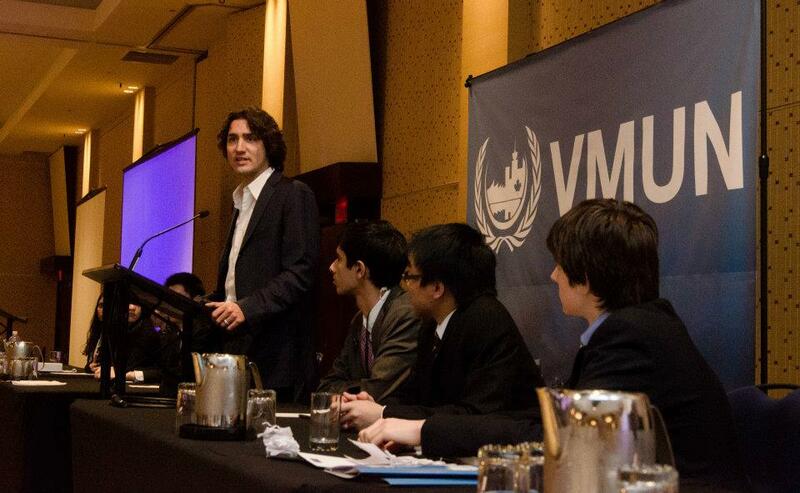 VMUN 2012 was a great experience and I know many of the students are looking forward to next year’s conference!